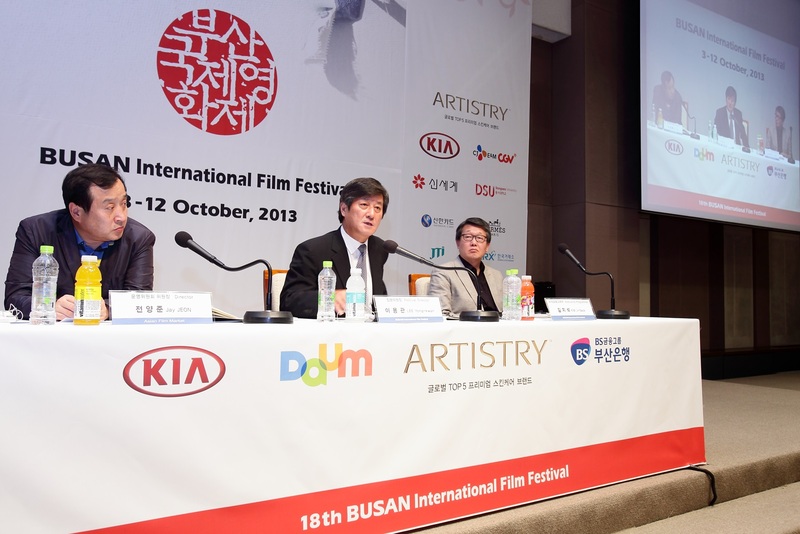 The 18th BUSAN International Film Festival (BIFF) is now only one month away. The BIFF organization committee had a press conference on September the 3rd and revealed the overall structure and diverse details of the festival. During ten days from October 3rd through to the 12th, 301 films from 70 countries, of which 95 films are world premieres and 42 international premieres, will be shown in 35 screening rooms in seven theaters located at Busan’s Haeundae and Nampo-dong districts. Major themes for this year’s BIFF programming include the discovery of new directors and the establishment of the identity of Asian Cinema. A wide range of new faces in Asian cinema will be presented and many BIFF sponsored films will finally be disclosed. 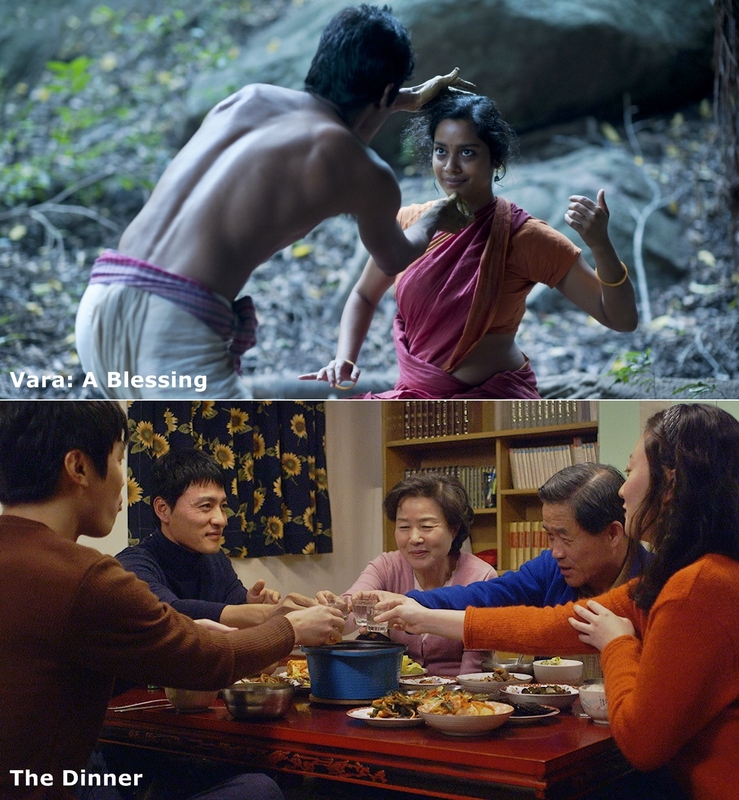 In addition, works by leading Asian directors will be screened in premiere and many promising Korean films will be shown for the first time at BIFF. The opening film will be Vara: A Blessing from Bhutan. It is the third feature film by by Khyentse Norbu whose Cup was shown in the directors’ week at Cannes, and features a strong willed woman who lives through hardships in her life, depicted through the Southern Indian traditional dance Bharatanatyam. The closing film will be The Dinner which has been “incubated” and supported by the Asian Film Fund since 2011. This independent film by KIM Dong-hyun of A Shark and Hello, Stranger depicts the misfortune and tragedy of a family that anybody could relate to. Gala Presentations, where great masters’ new works or major new films are presented, will present six films from seven countries, including BONG Joon-ho’s Snowpiercer and KIM Jee-woon’s short film The X, as well as LEE Sang-il’s The Unforgiven, which is a remake of Clint Eastwood’s same titled 1992 film. Notably, The X is the first film ever to have been designed to fit the Screen X room, where the film is projected not only from the back but onto the sides of the theater as well. ‘A Window on Asian Cinema,’ which is among the main sections of BIFF, will present 54 new films from 20 countries including Japan, the Philippines and Iran. Japanese films are receiving special attention with masters like Koreeda Hirokaz, Kurosawa Kiyoshi, Aoyama Shinji and new cineastes including Tie Yoshihiko, and Hitohara Satoru. The Philippines will present new films by world-renowned directors like Lav Diaz, Brillante Mendoza and Iran will demonstrate its “new spring” with Jafar Panahi’s autobiographic Closed Curtain and Asghar Farhadi's The Past. ‘New Currents’ is a section which will present 12 experimental films from 11 countries, all with problematic social issues. Among these, three are Korean. LEE Yong-seung’s 10 Minutes realistically depicts the incidents that a rookie goes through at a job, and AHN Seon-kyoung’s Pascha and CHOI Jin-seong’s Steel Cold Winter present two very different styles of love stories. Steel Cold Winter presents a somewhat dangerous love story between a young couple in a snow-covered town in the mountains, and Pascha describes the love between a woman in her 40s and a 19 year-old boy, in a very blunt and straightforward style. ‘Korean Cinema Today’ consists of two subsections: Panorama and Vision, both featuring films for the audience to grasp the trends of 2013 Korean cinema. The Panorama will screen 14 films including HONG Sangsoo’s Nobody’s Daughter Haewon and Our Sunhi, KIM Ki-duk’s non-competition film at the Venice Film Festival Moebius, and YEUN Sang-ho’s new animation The Fake, which has already been invited by Toronto and the Sitges international film festivals. HA Jung-woo and PARK Joong-hoon’s director debuts are also impressive. PARK’s film debut depicts an actor who begins as a crew member but finally becomes a movie star in Top Star, and HA’s Fasten Your Seatbelt is a comedy featuring an actor in a plane who finds himself in a life and death situation. The theme of the section “Vision” this year is ‘my heartbreaking film’ and will present ten very different pieces, among which are NOH Young-suk’s second feature Intruders and Thuy, Mot and Shuttlecock whose post productions have been supported by the Asian Film Fund. The 18th Busan International Film Festival will pay tribute to the Korean Master director IM Kwon-taek and present the Korean Cinema Retrospective – Fly High, Run Far: The Making of Korean Master Im Kwon-taek. The IM Kwon-taek Retrospective will be the director’s largest retrospective to date with approximately 70 films (excluding lost or decayed films) featured. His signature films including Mandara (1981), The Surrogate Womb (1986), Fly High, Run Far (1991) will be screened along with his earlier works such as A Wife Turned to Stone (1963), Eagle of the Plains (1969), and Snowing on Grudge Street (a.k.a. Snow Falls on the Bloody Street, 1971). 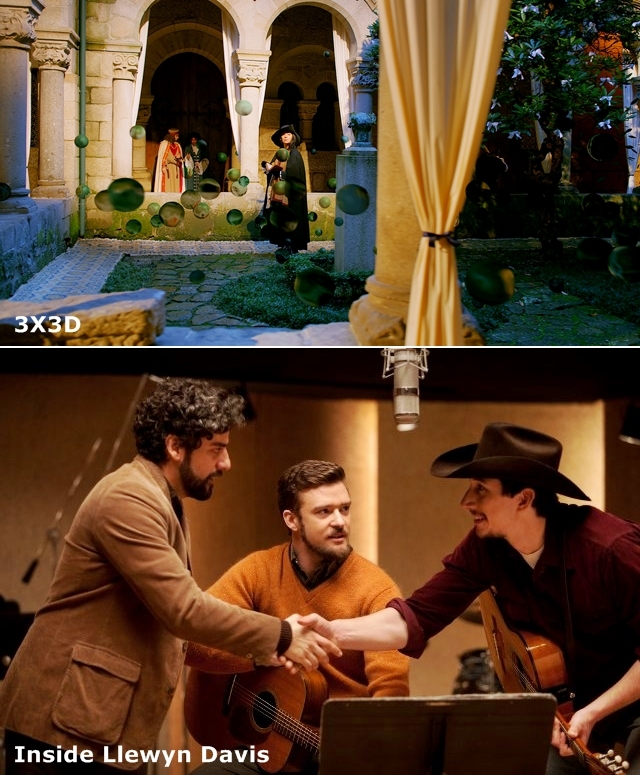 The ‘World Cinema’ program will consist of non-Asian, leading directors’ new films, featuring 51 films from 28 countries, including 3X3D co-directed by Jean-Luc Godard, Peter Greenaway and Edgar Pêra, and Inside Llewyn Davis by the Coen Brothers. ‘Flash Forward’ will feature rookies’ originality and potential by introducing 32 works from 28 countries. In addition, eight films including two Korean box office hits Cold Eyes and The Terror Live will be screened at the Busan Cinema Center's outdoor theater as a part of the Open Cinema section. Short films, documentaries and animations will comprise ‘Wide Angle,’ which will present diverse narratives from many different countries. The documentary competition will feature 11 outstanding documentaries including four Korean works, of which are CHO Sung-bong’s Gureombi –The Wind Is Blowing depicting the beautiful town and people in Jeju Island's Gangjeong village, and KIM Mi-re’s Sanda, recording the sufferings of KT laborers and today’s labor movement. The Korean Short Film Competition will be a showcase for 14 diverse, lively and distinctive Korean short films ranging from serious social dramas to romantic comedies. Special programs for this year’s BIFF include ‘Unknown New Wave Central Asian Cinema’ and ‘Rogues, Rebels and Romantics: A Season of Irish Cinema’, as well as ‘Park Cheol-soo Special Commemoration: Eternal Movie Youth’. ‘Unknown New Wave Central Asian Cinema’ will reveal some of the hidden works from the four Central Asian countries of Kazakhstan, Uzbekistan, Tajikistan and Kyrgyzstan, and ‘Rogues, Rebels and Romantics: A Season of Irish Cinema’ will consist of 11 films by leading Irish masters including John Boorman, Jim Sheridan, and Neil Jordan. A retrospective for the late PARK Chul-soo, who passed away last February, will be held with Farewell My Darling, Mother, Stray Dog and Three-Oh-One, Three-Oh-Two, as well unveileing Green Chair 2013 - Love Conceptually for the first time.